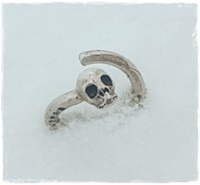 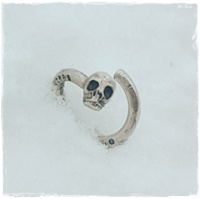 Supercool skull ring made of sterling silver with black eye holes. 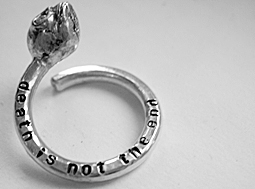 On the side of the ring you´ll find the text "death is not the end". 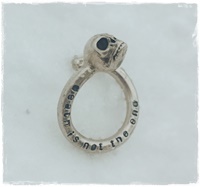 This ring is handmade and are excisting in just a few items. 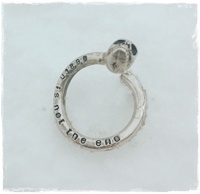 Down below you fill in what ringsize you want, then I will adjust it for you before delivery.